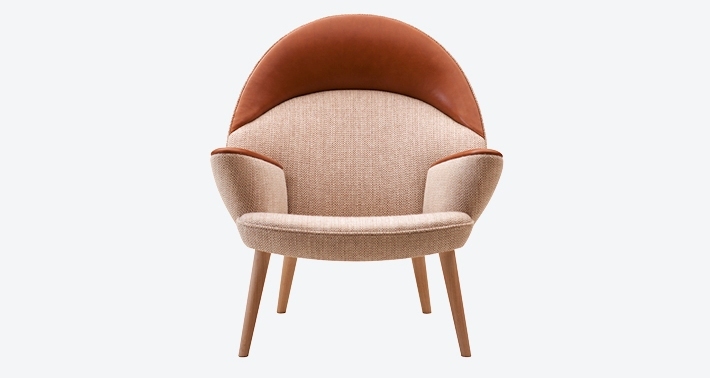 The Upholstered Peacock is, as the name implies, an upholstered interpretation of the pp550 Peacock Chair from 1947, one of Wegner’s all time classics and one of his personally most beloved designs. 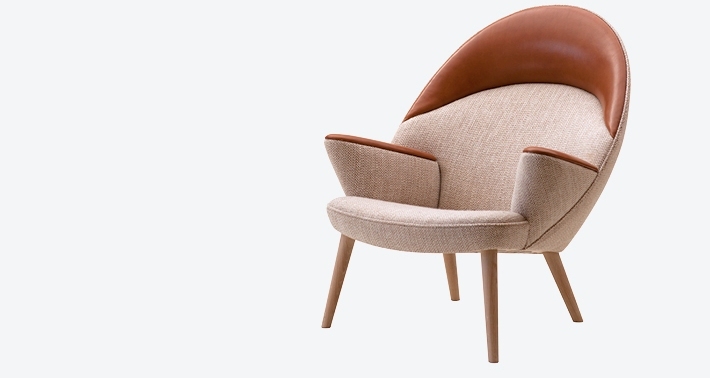 In the Upholstered Peacock Wegner has repeated the arch from the original version and then covered the construction with fabric making a softer chair. 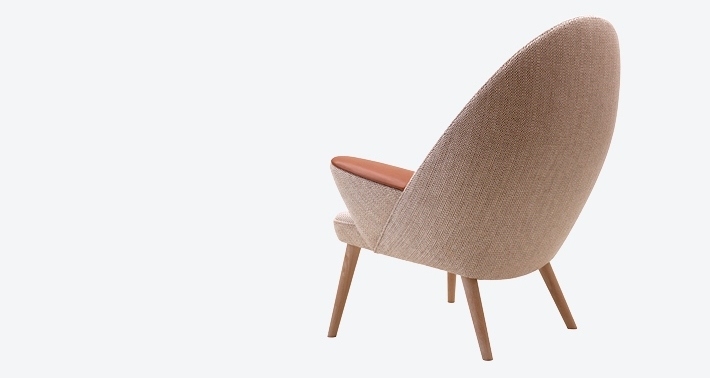 The neck and the armrests allow the seated to indulge in the sensible touch of leather, right where it matters the most. 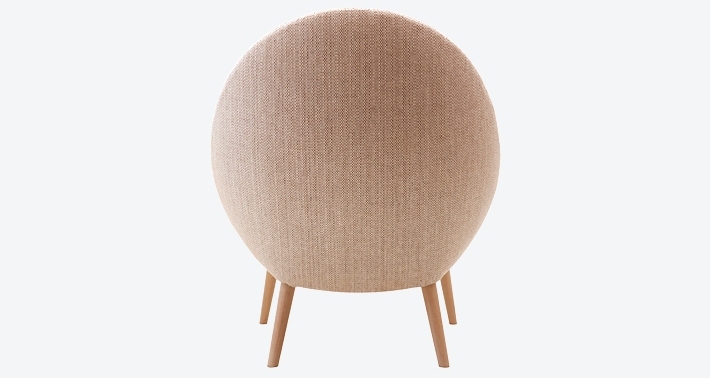 pp521 is upholstered using only natural materials like flax fibers, cotton, jute straps, palm leaves and horsehair. 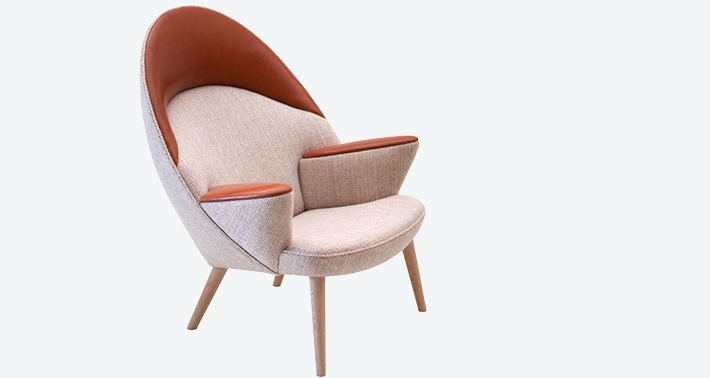 This is the only way to ensure that this kind of easy chair will be worn in rather than worn out with time.